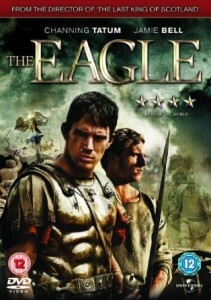 I was watching The Eagle on DVD the other evening. 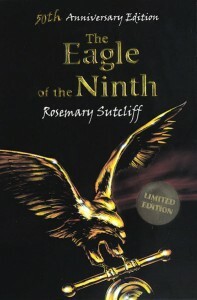 It’s the 2011 film adaptation of Rosemary Sutcliff’s classic 1954 children’s novel, The Eagle of the Ninth, the story of Marcus Flavius Aquila, a young Roman officer, driven by duty and honour, both of Rome and his family, to travel to the north of Britain, beyond Hadrian’s wall, to track down the eagle standard of the lost Legio IX Hispana, the ninth legion. While watching the scenes set beyond the wall, where Marcus’ slave Esca acts as his interpreter, I was surprised that I recognised a few words. It turns out they were using Gaelic to stand in for the language of the Caledonians. Now, this isn’t historically accurate – the Celts of Northern Britain at the time didn’t speak Gaelic, but a language more closely related to Welsh. The Gaelic-speaking Scots came in a later wave of immigration from Ireland. There are no records left of this indigenous language, the language known in later years as “Pictish”, as it was driven out completely by the language of the Scots. So in effect, by using Gaelic to represent the language, the film-makers have chosen the language’s worst enemy, the language that drove it into oblivion! I can understand the reason for the choice, though. The only other options would have been a completely made-up language (an awful lot of effort for a two-hour film) or to use a more closely-related language such as Welsh. But that would have had the problem of being recognisable to a not-insignificant number of people as coming from the wrong area. So Gaelic it had to be, anachronistic though it is. It got me thinking about the Brythonic language of the Picts, and how it has pretty much disappeared completely. There are a few fragments of words in place-names – for example, Aber- and Pit- prefixes, like Aberdeen and Pitlochry, are Pictish names – but very little else. It wasn’t an illiterate society – there was a flourishing branch of the Christian church in the Pictish kingdoms, and there are pictures from the time of people reading and carrying books. But it seems that most of the writing was done in Latin, and that means there’s nothing left for us to pick over. There are suggestions that Scottish Gaelic picked up a lot of loan-words from Pictish, but the character of the resultant language was definitely far more Gaelic than Pictish. In 1982 I moved from Portmahomack on the Dornoch Firth, part of the ancient Pictish kingdom of Fortriu, to Portree on the Isle of Skye, part of the ancient Scottish kingdom of Dalriada. Portmahomack didn’t have any Gaelic teaching in its schools, but Portree did – every primary school pupil, up to 12 years old, took Gaelic lessons. As I was already in my final year of primary school, I had no Gaelic, so in Gaelic lessons I was pretty much ignored and made to sit in silence. The teacher made one or two half-hearted attempts to teach me a couple of sentences, but when I couldn’t get my English-speaking tongue around the weird pronunciation as well as the kids who’d been brought up with Gaelic-speaking grandmothers or neighbours or teachers or shopkeepers, she gave up. One day she was teaching kids the Gaelic equivalent of their names (for example, John MacDonald would be Iain MacDhòmhnaill) she said “Hands up if I haven’t given you your Gaelic name.” I put my hand up, of course, and she looked at me, then looked away without explanation. OK, I don’t have a clan name that has a ready-made Gaelic version. My name is an anglicised version of a Norman family name based on a Scots placename in Roxburghshire. (The origin goes something like Fulton < de Fultoun < Fultoun). But if you’re going to exclude people from participating in learning the language because they don’t come from the area, don’t be surprised when they get to secondary school and choose French instead of Gaelic as their language choice. This is how languages die. I love languages. I took French at school, then Latin, and Ancient Greek. I carried on with Latin and Greek at university, supplementing them with a little Modern Greek, and I’ve picked up a bit of Italian and a few words of Japanese over the years, not to mention a spot of Quenya and Sindarin. I listen out for languages in films like The Eagle because it interests me. If the 1980s Gaelic teaching couldn’t get me to pay any attention, it’s no wonder that the number of speakers is declining. I understand that Gaelic is still declining, albeit at a slower rate than in the 80s when I was discouraged to learn it. I have no great fondness for the tongue (blame my Gaelic teacher, and my fondness for Pictish history!) but it would be an enormous shame if it disappeared completely.